the Northern Worker: No to Hydrogen Fluoride in Superior! No to Hydrogen Fluoride in Superior! On April 26, around 10 a.m., on the same day as the anniversary of the explosion at Chernobyl, the Husky Refinery here exploded and caught fire. 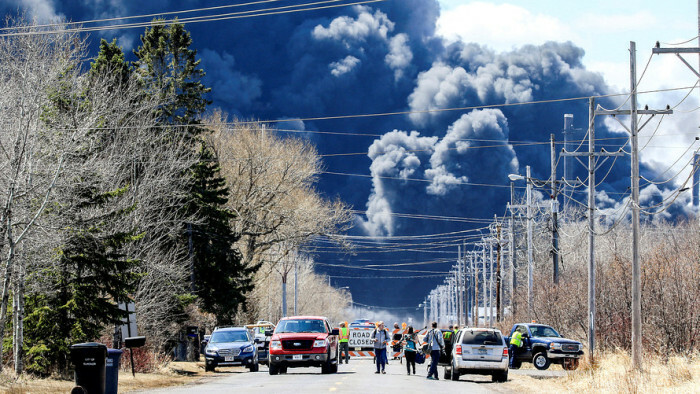 For nine hours, toxic fumes blew 30 miles to the south. Eleven workers were injured but soon recovered. Most of this city along the shore of Lake Superior had to be evacuated. >> The article above was written by Lucas Dietsche.